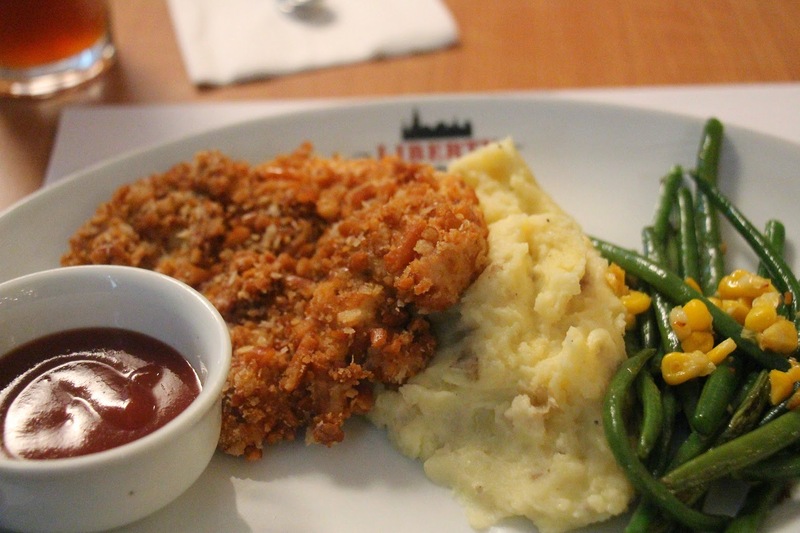 At the heart of UP Town Center is the haven for steak-savvy peeps. 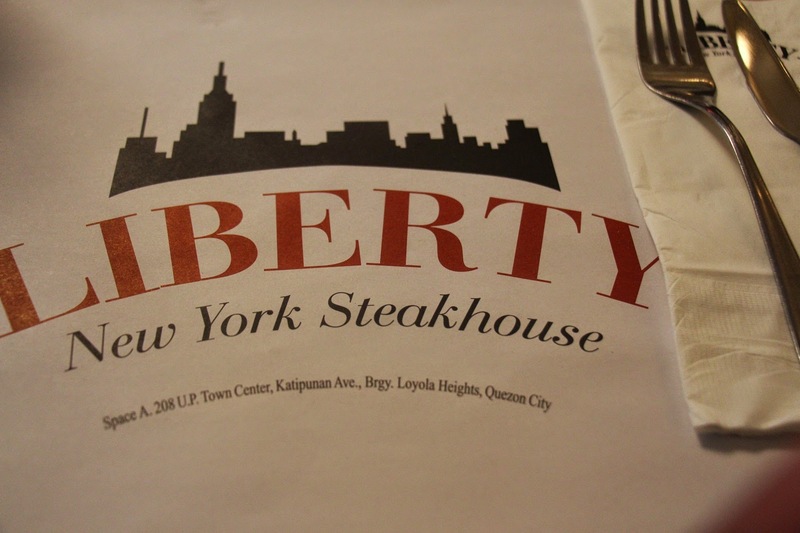 Liberty New York Steakhouse staged Gladys Reyes’ MOMENTS and post birthday mini-celebration with some of her invited press friends (including my “nobody” self) last June 24. The theme is a replication of a typical US setting steakhouse with an ambiance of both comfort and tranquility which would best fit those who are looking for that silent sanctuary in the midst of the urban living. 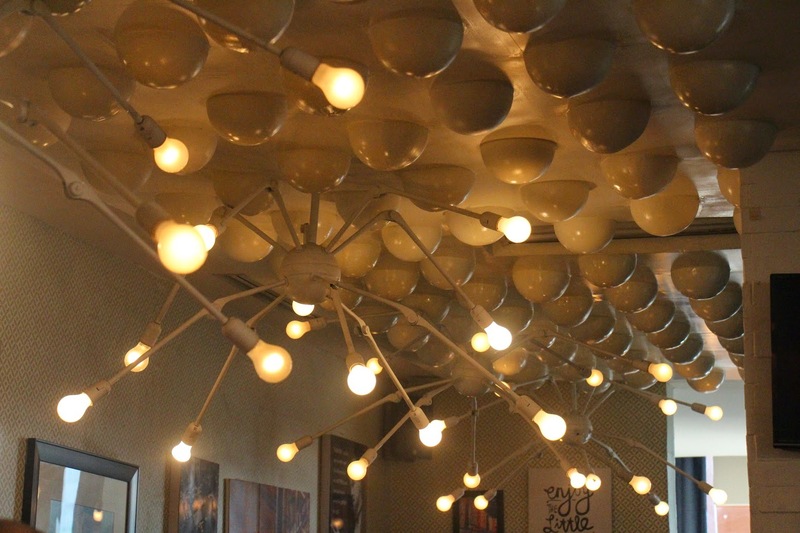 Vivid are the colors and ceiling hangings that craft utmost creativity of the mind/s behind the place’s interior. It’s white background defines all the wall and ceiling design that would bring you somewhere else. It’s “exclusivity” is the perfect place for some dating purposes, for corporate meetings, for birthday celebrations (well, with exclusive friends invited) and for a soul-searching and some personal food craving satisfaction trips. Unparalleled frames on the walls give justice to the typical life’s facts. Connected are the photos, the abstracts and the words of wisdom that are carefully put in place to weave interrelation and to ignite someone’s imagination while waiting for the food to be served. I tried it myself. Reading those quotations and watching those photos and posters really is an effective way to kill boredom afar from simply playing something from my smartphone. Reasonable as it is, the food prices won’t scratch your budget that much. Appetizers range from the fries down to nachos down to the calamari’s. It isn’t all for the meat-lovers since the greeners have their choice to munching Falafel Salad, Hail Caesar and the Crispy Chicken Salad. It also offers the world-class taste of soups like the Matzo Ball Soup and the Manhattan Clam Chowder. Who could ever resist the house’s specialty and all time best dishes including the Fire Pit BBQ Belly, Greek Style Lamb Kebobs, Tribeca Sausage Platter, The Avenger Platter and the Hell Kitchen’s Shrimp Diablo. Sandwiches also are on parade with chicken, beef and pork meat options. My personal favourite would be that of the hearty steak choices ranging from the classic to the country fried down to the contemporary K Pop. 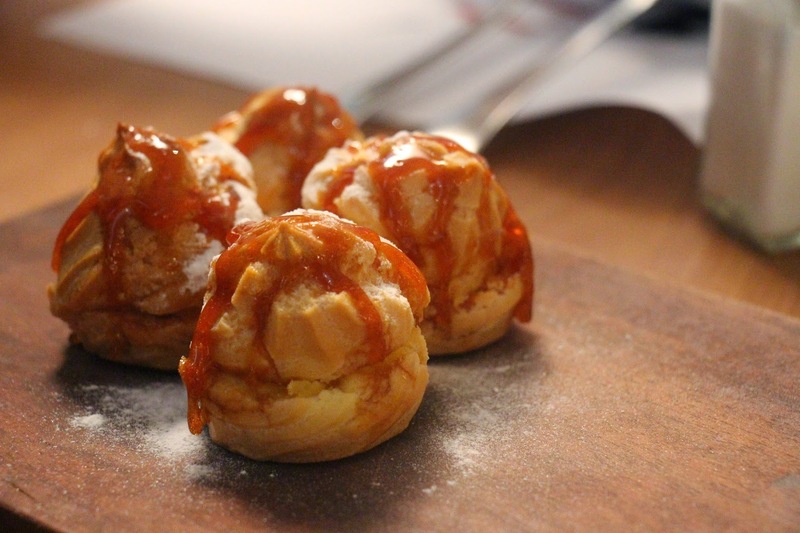 One element of surprise is that it goes better when partnered with the house-offered extra sauces at Php65 per variant. You can choose from Beef & Mushroom, Beef Au Jus, Marsala Demi Glaze, White Sausage Gravy, Liberty Steak House Sauce, Green Gaucho and the Red Chango. 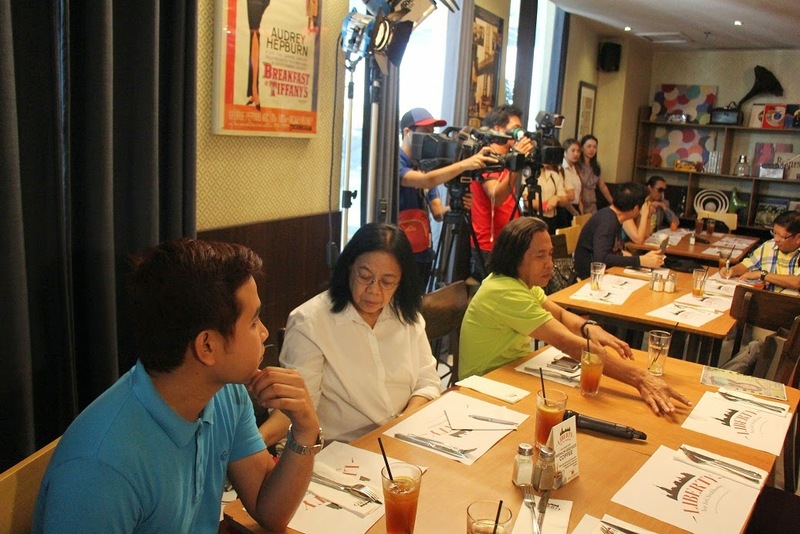 It was lucky of me to join the highlights of the event at Liberty Steakhouse that day which was Gladys Reyes- Sommereux’ post-birthday bash and press conference for the 25th season of MOMENTS (Net 25). To boast, she gave a chance for me to write for the next 13 episodes of the program particularly the ABBOTT Similac Gain-sponsored Segment . 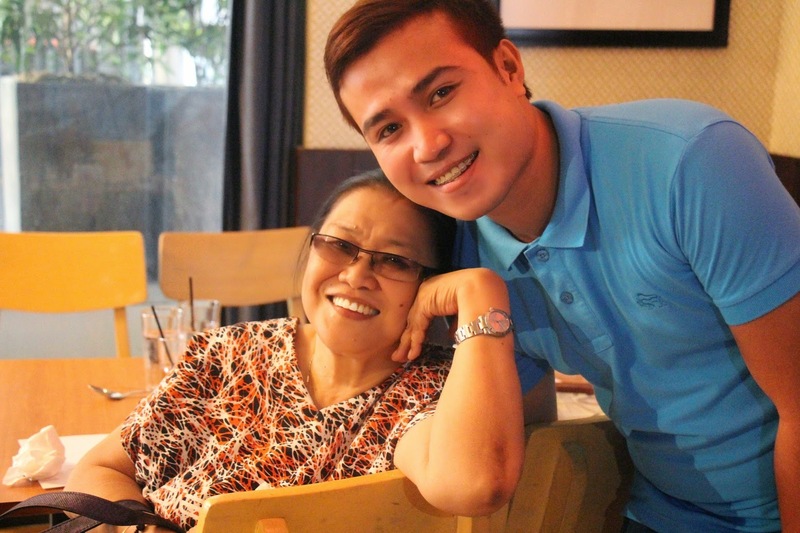 It was no question as to why several blessings are being endowed to this one heck of a mother-slash-kontra bida and versatile actress-slash-friend—that she knows how to value the people around her. 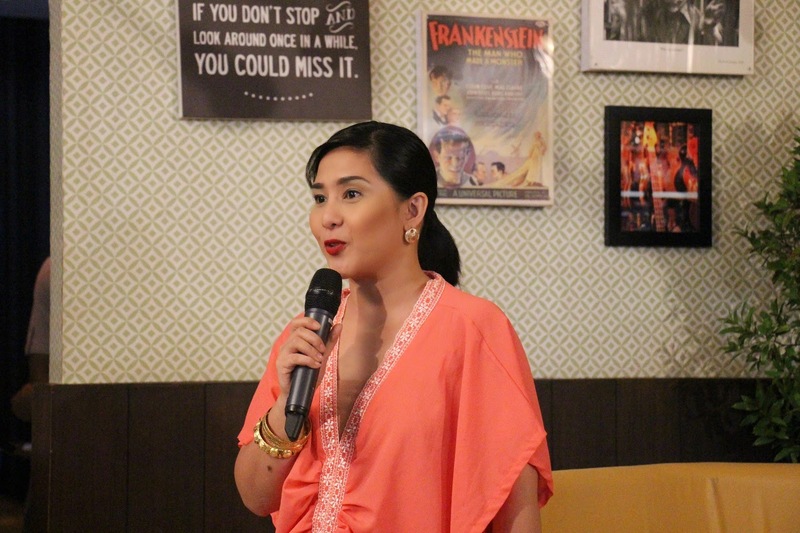 On the said event, she thanked and paid high respect to her more than two-decade manager Lolit Solis, who has been the foundation of where she is on her success to date. MOMENTS, according to Gladys, would be a monumental program aiming for better conversations about parenthood and familial living on television. 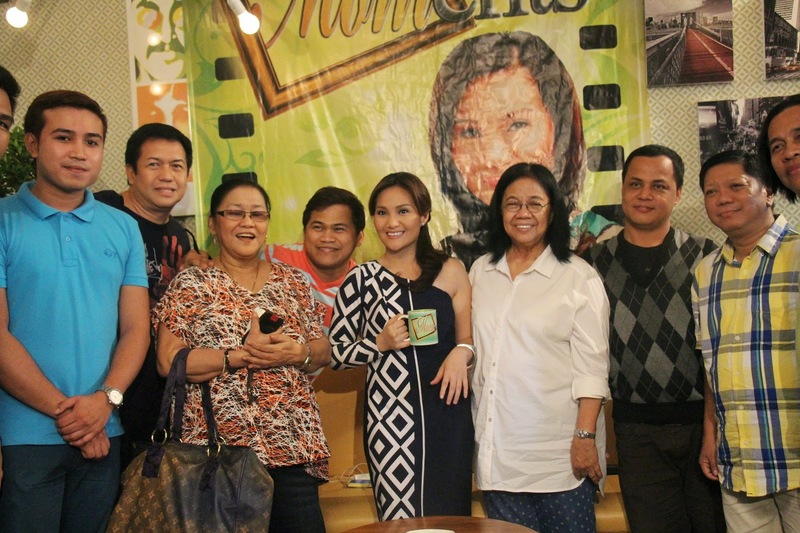 Having the central focus of the program on strong family ties and sharing of better parenthood, MOMENTS has been recognized by the ANAK TV and the Department of Education Lingkod TV Awards. It has also been hailed as the Most Child Friendly TV Show during the 1st MTRCB Awards and the Star Awards Best Celebrity Talk Show of 2011. 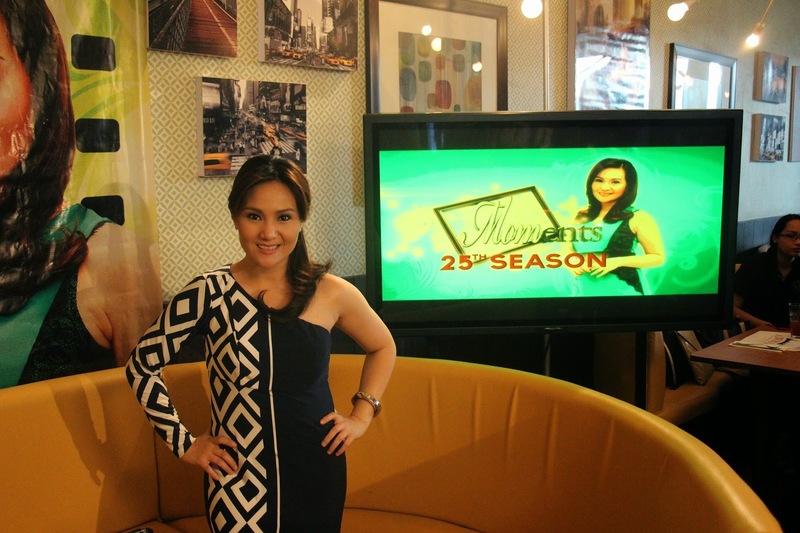 MOMENTS, as the actress/host mouthed, always has a reason to bring her to her kiddos and her husband closer as certain segments feature them such as the KIDDIE MOMENTS which is currently hosted by her three kids namely Christophe, Aquisha and Grant. The program which started way back November 2007 gave her the chance to prove her prowess on hosting more than the usual acting that she has been into since childhood days. When asked as to how she’s going to rate herself as a host (well, that’s my question thrown on her), “Naku, I always see hosting as a never-ending process to learn. Mahirap mag-rate sa sarili. I always prefer feedback from the audience kesa isipin ko na magaling ako.” That only proved how humble she is given the fact that the numbers would speak for itself—given that MOMENTS is on its 25th season is already a proof how big her success is on hosting. Wink! 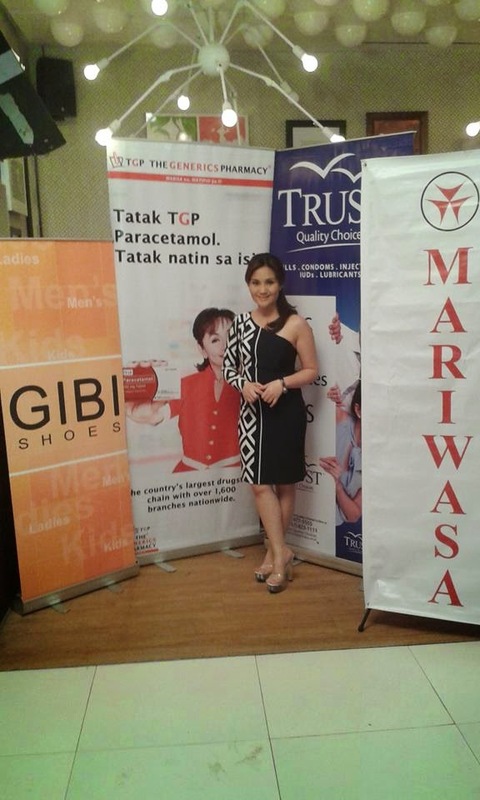 Galdys is always grateful to her sponsors whose support are much felt to run the program—GIBI SHOES, THE GENERICS PHARMACY, TRUST FAMILY PLANNING, MARIWASA TILES, ABBOTT LABORATORIES and many more (pardon if I forgot to name some. As quoted by Glady’s sister and my dear friend, Janice Reyes-Villa”Ikaw lang ang uma-attend ng press conference at meetings na walang dalang ball pen at papel. Next time, magdala ka ha). 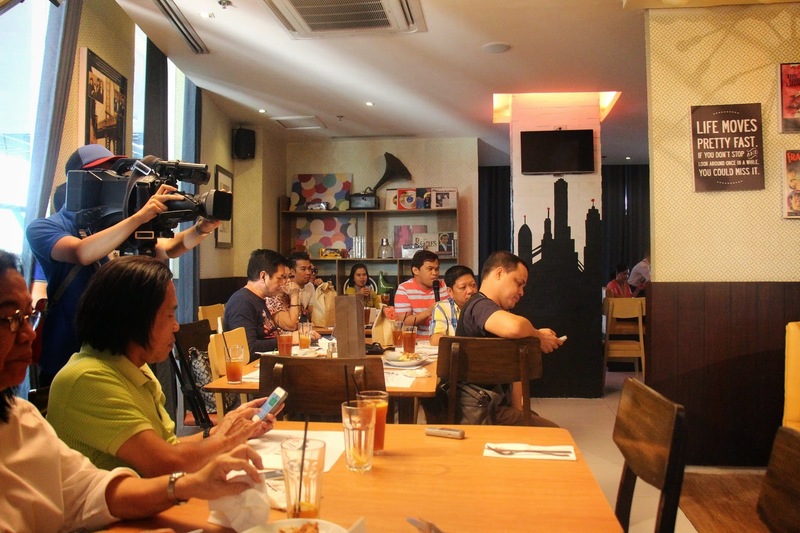 Gladys Reyes-Sommereux sharing her MOMENTS' 25th season goals to the people of the press. More than a sister. 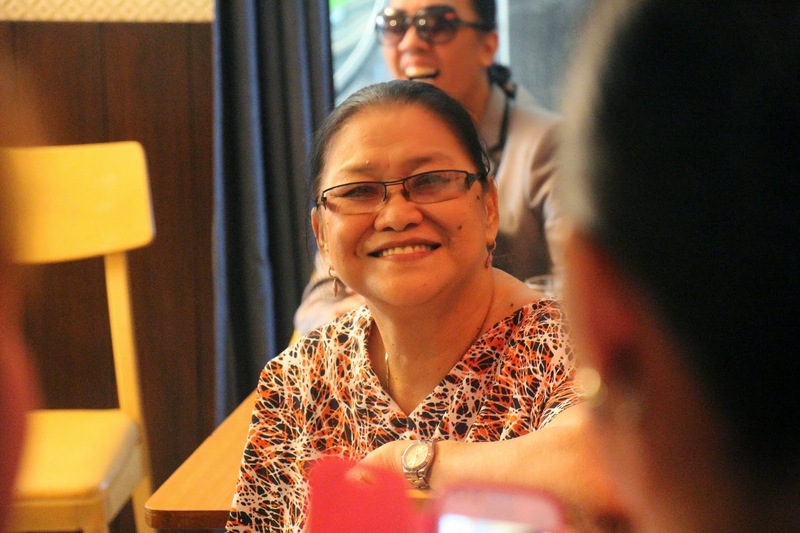 Janice Reyes-Villa did the introduction of her sister Gladys to the people of the press. Perfectly Perfect. A rare opportunity is to have lots of glam peeps around you. Lucky Me! 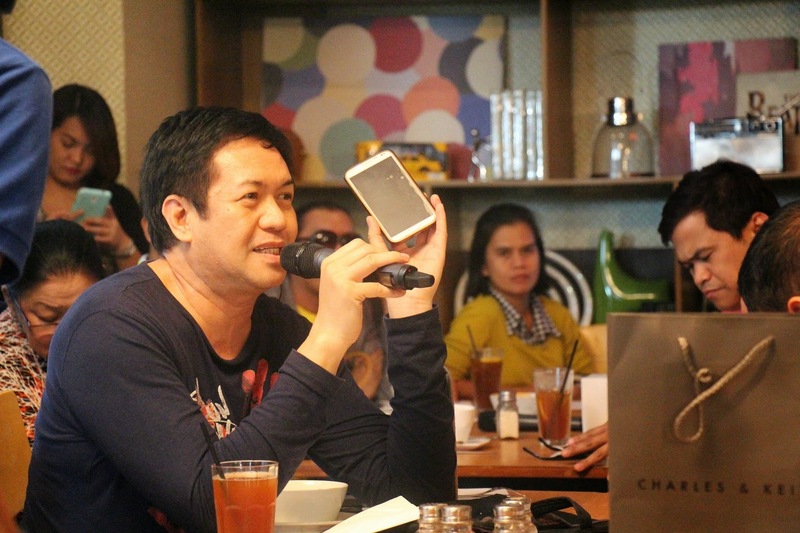 Asking Questions.The press peeps are very much excited to ask queries about Gladys' show and of course love life. 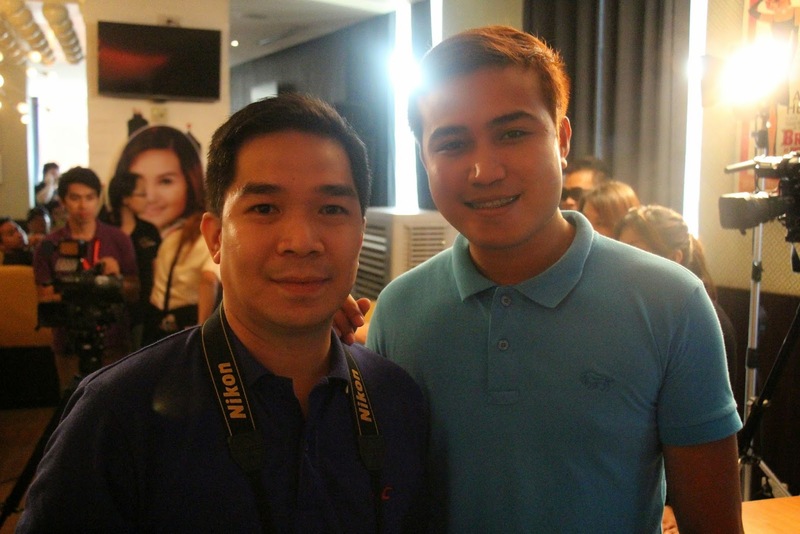 With the "man behind the scene". 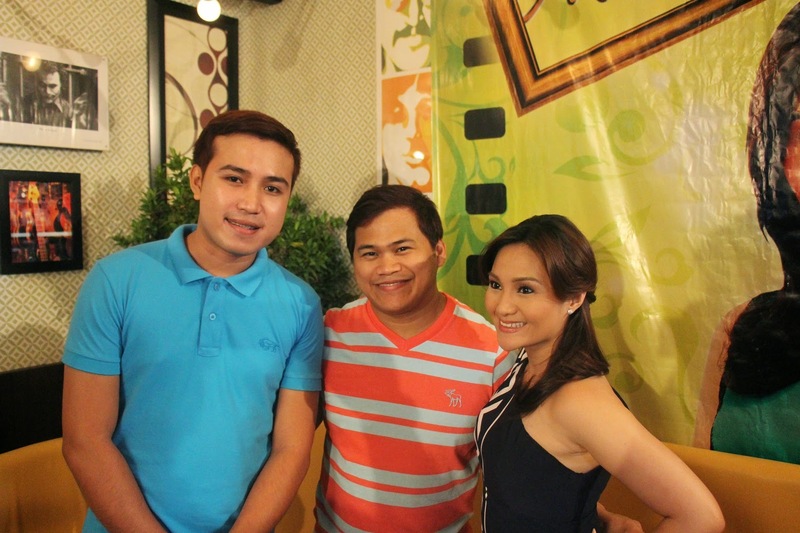 Direk Dandy Cabusora remains to be the key man behind every episode of MOMents. Too young and good. 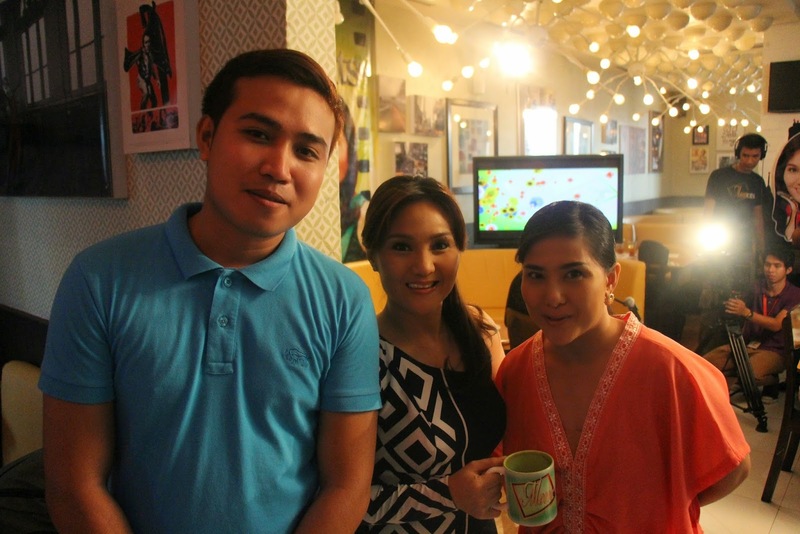 MOMents' editors and writer on a candid shot. My sisters from another mother. A quick chit-chat before saying goodbye to this momentous event. paano ka makakasama eh malayo ka? di ah malapit na ako... dito lang ako sa tabi tabi .. mo.. char..
i love you more my friend! thanks for dropping by on my blog post.